Happy Easter! Every year we wish one another Happy Easter and so we should because the events of this day are the happiest of all. But do we really give thought to the kind of happiness that we are wishing for one another or the kind of happiness that we seek for our own lives? When Jesus taught the Sermon on the Mount He repeatedly said “ Blessed are…” as in “Blessed are the peacemakers, blessed are the poor in spirit, blessed are those who hunger and thirst after righteousness…” Some modern translations correctly translated all of those “blesseds” as “happy are….” Perhaps from this we can conclude that Jesus wants us to be happy because He taught us how to get there. Still it seems to be that happiness is as allusive as catching your shadow. Perhaps one reason for that is because there are so many daily things that assault our happiness. The other day I was in a fairly good mood until I decided to call my Credit Union to ask one simple question. On my initial contact I get an automated voice. “For English press one.” Why? I’m not calling from Hong King. And how would I know to press one if I did not speak English? I did it anyway. Then the voice asked for my identification number. I punched in my 7 digit id number and expect to hear a person pick up. Instead the automated voice asked for my pin number. I had no idea what my pin number is so I had to look it up and as I did she times me out and hangs up. I make the call again and press one for English, give my 7 digit id number and then my 4 digit pin number. Am I home free? No siree! She says “To speak to a customer service representative say “Three.” I say “Three.” She comes back “Okay you said ‘Thirteen.’” I say “No Three.” “Okay you said ‘Thirteen.’” After two more of these exchanges I am yelling into phone and calling the automated voice names. Finally she accepts my number and says “For security reasons please give us your Credit Union membership number.” That is a 10 digit number which I dutifully punch in. Finally a real voice comes on, “Hi, thank you for calling us Mr. Kasch, for security purposes what is your Credit Union Membership Number?” At this point I am in fetal position under my desk and I can’t remember why I called. I know that you have the same daily frustrations and many times over. But surely the blessedness or happiness that God wants us to have can transcend such annoyances because there are even greater challenges to our happiness. Illnesses, failed marriages, economic setbacks, dealing with dysfunctional families; there can be a world of pain out there. Way beyond overcoming life’s annoyances we need to know how do we find a happiness that can transcend life’s most challenging blows. One day I was listening to NPR and they made reference to TED talks. TED stands for Technology, Entertainment and Design and it is a program where they bring in experts who have about 18 minutes to make a concise presentation. They are fascination but one that particularly caught my attention was a number of presentations on happiness. It was very enlightening. One talk was by a guy who was on the leading edge of technology when it first came on the scene. At 28 years old he found himself being transformed from from a regular guy who grew up in a middle class family to now being a multimillionaire and he didn’t know what to do with himself. He didn’t go crazy, like you hear about of many lottery winners, but he did buy a number of nice things including a new home. To his surprise none of this made him any happier. He went on to do some research and he discovered that Americans today are living in three times the amount of space than we did just 50 years ago and still we do not have enough space for our things. Today storage is a $22 billion per year business taking up 2.2 billion square feet and yet our happiness level as a nation has flatlined over the last 50 years. “Blessed are the hoarders” is something that Jesus never said. What really got my attention was a German presenter who said that happiness is connected to gratitude. He remarked that we all know people who have an abundance but they are not happy because they always want something more or something different. But grateful people are happy and so the question is how we go about being grateful. He said that we are grateful when we experience two things. First we experience something of significant value to us and second it must come to us as a true gift. It cannot be something that we have earned or for which we have traded. It must be a gift. And when we experience a highly valued gift, gratefulness rises in our hearts and we become spontaneously happy. It must be highly valued and it must be a gift. Can there be a better definition of the grace of God in Jesus Christ? And it is precisely that grace that is the foundation for our happiness. You know the story but let me tell it to you again. In the beginning God created man to be in fellowship with Him. The Bible says that Adam and the Lord would walk with one another in the cool of the evening. (turn the black chair). But then man turned his back on God and tried to go his own way. The fruit of that was disobeying God’s commandment, brother killing brother and such rampant wickedness that God regretted He had even made man. ( bring white chair to again face black chair). But God’s love was stronger than His regret and so again and again He sent the prophets to call man back to Himself. His promise was that He would be their God and they would be His people. He offered a return to fellowship, union, communion. It would work for a time but man would again turn to his own wicked ways (turn black chair away). They killed the prophets. It would have been a surprise to no one if God at that point hadn’t given up on man. But God still so loved the He sent His only begotten Son so that all who believe in Him would have eternal life (bring white chair to face black chair). He sent Him to a woman who had sought unconditional acceptance in husband after husband after husband after husband until she gave up on marriage and probably she gave up on herself. Now she was living with a man who was not her husband and she was filled with so much shame and to avoid the wagging tongues, she came to draw water in the heat of the day. The love and acceptance that Jesus offered her would become springs of living water within her so that she would never thirst again. (Hold black chair overhead) He sent him to a man who was despised by all. Small in stature and even smaller in character. He not only collected taxes for the enemy but he bilked his own people to line his pockets. His lonliness cried out even louder than his self-contempt so Jesus said, “Come down, tonight we will break bread together,” and the man was introduced to the Bread of Life, never to hunger again (bring black chair down to face white chair). (lay black chair on its side). He was sent to a man who was really everyman. The man is lame. He wants to be whole but the only way for him to be healed is to enter the waters when they are stirred by an angel. But he is lame so he cannot help himself. All that he can do is live a life of quiet desperation, wanting for what he can never have. Jesus makes the impossible possible (stand up the black chair). He says “Take up your mat and walk.” I cannot even fathom the gratitude that burst into happiness for this man. And what of our penultimate enemy death? (lay the black chair on its back). God sent His Son there too. (collapse the white chair and lay it on the black chair). Psalm 138 says “If I ascend to heaven, you are there. If I make my bed in Sheol, you are there.” That is what we confess in the Apostles’ Creed when we declare that Jesus descended into hell. He descended to the place of the dead to take captive the captive or as Peter put it, to preach to those who were in prison. There is no where we can go to escape God’s love. (return to pulpit). The Gospels contain story after story of Jesus giving people things of great value, like giving the widow woman her son back from the dead. Like setting free a possessed man and putting him in his right mind. Like healing a woman who had an issue of blood for 12 years. Like giving sight to a man who had been born blind. Like raising Lazarus from the dead. And in every case it was a pure gift, it was nothing that they had earned or traded for and truth be told it was not even something that they deserved. It was grace. It was love in action. One of our parishioners is in AA. He told me that the difficulty for him is that sometimes it seems they are speaking of a different God than the one revealed in our Lord Jesus Christ. Instead of a God who wants us to have life and have it abundantly, too many of his friends believe in a god of retribution, what he calls “a gotcha god,” a god who is always looking for you to mess up so that He can get you. Easter paints a very different image than a “gotcha god.” The baptisms that we will witness today, as the Holy Spirit baptizes them into Christ’s Body, speak of a very different God than a “gotcha god.” Easter and baptism reveal a God who left glory not to get us but to adopt us, to make us His family, to be our God and to make us His people. We receive through the resurrection of Jesus a salvation that is more to be valued than fine gold and it comes to as a free gift. If that does not produce spontaneous happiness in us, I can’t image what will. 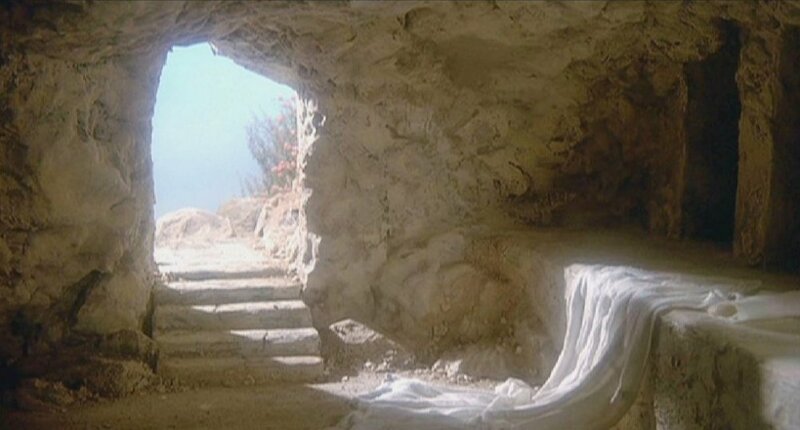 All that is left for us to do today is to receive it and say “Thanks be to God.” Happy Easter. Let me begin this sermon by offering an explanation of tonight’s service. Given that this is normally a 5pm Saturday Mass, it places us in a liturgical no man’s land. It is really too early in the evening to have an Easter celebration and it is even too early to do an Easter Vigil because both of those are to be done either after dark on Saturday or very early on Sunday morning. Of course we could change the hour but I have never found that to be too successful. Folks will still show up at 5 or not come at all. But this liturgical bind is really a blessing. I say that because it allows us to recognize Holy Saturday for what it is rather than pole vaulting over it from Good Friday to Easter. Over time the Easter Vigil has all but replaced Holy Saturday but it is a more ancient custom to allow this day to stand on its own. It is a day to focus on Christ in the tomb, resting from His labors and it is an invitation for us to also enter into His Sabbath rest. As we meditate on this day’s events it also brings into focus the statement in the Apostles’ Creed that Christ descended into hell. That line is not without its controversy, and some have even refused to say it, but the church catholic has continued to confess it for scores of centuries because it is a truth that touches upon our salvation. Some object to this doctrine because there is no direct statement about it in Scripture. While that is technically true, it is not problematic. After all there is not direct statement about the doctrine of the Trinity but the picture becomes clear as you put the pieces together. Allow me to point out a number of passages. The Church Fathers interpreted these verses to mean that Jesus went to preach to all those who had died before Him and particularly to take from Sheol the Old Testament saints like Abraham and David and countless others. Listen to another passage. Ephesians 4:7-10 NIV: “But to each one of us grace has been given as Christ apportioned it. This is why it (Scripture) says, ‘When he ascended on high, he took many captives and gave gifts to his people. (What does ‘he ascended’ mean except that he also descended to the lower, earthly regions? He who descended is the very one who ascended higher than all the heavens, in order to fill the whole universe.” The Greek word for “lower regions” is similar to the Greek word used for “hell” in the Creed. Add to those the passage from the Revelation where the ascended Jesus says to John, “Fear not, I am the first and the last, and the living one. I died and behold I am alive forever more, and I have the keys of Death and Hades. What begins to come into focus is what has been called “the harrowing of hell.” This is where Jesus enters the place of the dead and takes captive the captives. Over the centuries wonderful artwork and iconography have been done on this topic. They depict the doors of hell being blown off of their hinges and Jesus coming through the doors with the cross or the keys in one hand and the hand of Adam and Eve in the other. Behind them is a train of others. The harrowing of hell is not a form of universal salvation where everyone is taken out of hell. Rather it is emptying death’s prison of all those redeemed by Christ. For me the passage that speaks most clearly about this topic is found in Romans. “But the righteousness that is by faith says: “Do not say in your heart, ‘Who will ascend into heaven?’ ” (that is, to bring Christ down) “or ‘Who will descend into the deep?’ ” (that is, to bring Christ up from the dead). But what does it say? “The word is near you; it is in your mouth and in your heart,” that is, the message concerning faith that we proclaim: If you declare with your mouth, “Jesus is Lord,” and believe in your heart that God raised him from the dead, you will be saved. Rom 10:6-9 Did you catch that? “Who will descend into the deep, that is to bring Christ up from the dead?” That is a very clear statement. Some in the Reformation and some today object that Christ could not be in Sheol today because He said to the thief on the cross,“Today you will be with me in Paradise.” But to assume that Jesus meant a 24 hour period is to forget that when we leave this life we enter the eternal “today.” We move outside of time where to the Lord a day is as a thousand years and a thousand years is as a day ( 1 Peter 3:8, Psalm 90:4). Thus Christ was in hell today and the thief was with the Lord in paradise today. So if the statement in the Creed is indeed correct, and I hope that we believe that it is, then why does it really matter in the end. We know that Jesus died and that He was raised, so why should it matter where He went in between? I suggest to you that it matters for several reasons. The first reason is that it has to do with His incarnation. Some of the earliest heresies of the Church got it wrong about Jesus’ incarnation. They had Jesus put on humanity like an actor puts on a mask or like the Roman gods who would pop in and out by taking human form. But Jesus is not God with a human mask. He is God in the flesh. “And the Word became flesh and dwelt among us.” He lived fully human, He died fully human, He was raised from the dead fully human and He ascended to the Father’s right hand fully human. His incarnation was not a temporary manifestation, any more than our humanity is a temporary condition. Christ who was fully human, when He died, went to the place where all who died before Him also went. Why would He be exempt from this part of being human? A second reason that it is important for Christ to have entered into hell is to preach to those in prison. It underscores the mercy of God that those who came before Christ received the Gospel from Him and given an opportunity to leave Sheol with Him. It gives new meaning to the ancient words of the Psalmist, “Whither shall I go from thy spirit? or whither shall I flee from thy presence? If I ascend up into heaven, thou art there: if I make my bed in hell, behold, thou art there. (Ps 139: 7,8). This paints a beautiful picture of Jesus as the Good Shepherd doing the ultimate to find His lost sheep. It encourages us to know that there is no depth that we can descend that the love of God cannot find us. I had someone say to me, “Well if I heard Him in hell of course I would believe. Hell therefore should be empty.” This is a serious underestimate of the power of unbelief. Satan and his demons know that Jesus is the Christ but instead of bowing before Him they have chosen to tremble. People on earth saw Him raise a man from the dead still they refused to believe. Unbelief and pride are that formidable. I doubt that such hard hearts would be softened by death? A third reason that it is important for Jesus to have descended into hell is because in doing so He defeated it. That is what is being portrayed in the Revelation with Jesus holding the keys to Death and Hades. Isaiah prophesied, “He will swallow up death forever and the Lord God will wipe away tears from all faces.” (Is 25:8). St. Paul quotes Hosea and celebrates in His letter to the Corinthians, “Death is swallowed in victory, O death where is your victory, O death, where is your sting?” ( I Cor 15:54,55). When my father was dying, he was very lucid. His body was failing but his mind did not. He had a very gentle passing over. At one point we were talking in the hospital and he said to me without bravado and with full conviction, “You know Ray I am not afraid to die.” And he was not. He knew in whom he had believed. For my father death was a defeated enemy and now it was simply a gate through which he passed into the larger life. Death could not hold him and that is why he did not fear it. It is also why we continue to pray for the departed. They are not in a state of death, they are in life and we pray for them to grow in the continual love and service of God. It is a way to stay connected. Jesus’ decent into death makes all this possible. On Friday when Jesus said, “It is finished” and it was indeed finished. He drank the cup the Father had given Him to drink. On Saturday He entered His Sabbath rest and that has a direct impact upon us. The writer of Hebrews says, “So there remain a Sabbath rest for the people of God, for whoever has entered God’s rest has also rested from his works as God did from his.” (Heb 4:9,10). The life we live as Christians is to be lived in the context of the Sabbath rest that Jesus gives us. We take off the burden of good works and we live in the context of grace. It doesn’t mean that there is not work for us to do. There is plenty for us to do as we work and pray for Christ’s kingdom to come on earth as it is in heaven. But the Sabbath rest means that we don’t work like our salvation depends on it, because it doesn’t. Christ has already accomplished that for us. We work from a point of peace, knowing that Christ has already won the victory. We work as His coworkers, knowing that He who began a good work in us will perfect it until the day of Christ Jesus. We work with the knowledge that He is with us always even to the end of the ages. We work not to fulfill a need in us, we work because our cup runneth over. On this day Jesus descended to the dead and defeated it. So with St. Paul we proclaim, “O death, where is your victory, O death, where is your sting?” We will save our “Alleluias” for tomorrow. I think that one of the mistakes that we make as the Church is to assume everyone gets the full picture and is on the same page. But when we remember that faith is a journey, and that we didn’t all begin that journey at the same time, nor at the same place, we see how foolish it is to have that assumption. Nevertheless I know I am guilty of this and so to correct that error let me offer a key to understanding that Scriptures for those who may be new to this journey. After His resurrection Jesus was walking with two of his disciples who for whatever reason did not realize it was the Lord. So to help the disciples understand what had transpired over the last few days the text says, “And beginning with Moses and all of the Prophets, He interpreted to them in all the Scriptures the things concerning Himself.” (Lk 24:27). Those of us who are reading the One Year Bible are in the 5th Book of Moses, Deuteronomy, and while Jesus is never mentioned directly, according to what we just read, He is there. And so He is. Deuteronomy 21 says cursed is every man who hangs on a tree and Peter picks up that theme in his letter saying that Jesus took the curse intended for us. “He himself bore our sins in his body on the tree that we might die to sin and live to righteousness.” Further Deuteronomy says that the man hung on the tree is not to be left over night but it to be buried the same day, which of course is what happened to Jesus. A priest was giving a children’s sermon and to make an illustration he asked, “What is brown and has a furry tail and buries nuts for the winter?” A little girl raised her hand and said, “I know the answer must be Jesus but it sure sounds like a squirrel to me.” I am not suggesting as with the little girl that every point of the Old Testament is about Jesus. Nevertheless He is all through it and is the key for understanding it. “What does it say about Him?” is the approach I want to take with our Gospel lesson today and I want to do it by asking three questions. 1. What does this familiar story teach us about the nature and character of Jesus? 2. What does this story teach us about our relationship with Jesus? 3. What does this story tell us that Jesus expects of us? Jesus lived to glorify His Father and so He was not controlled by other people’s emergencies or agendas. He told His disciples, earlier in John’s Gospel, “My food is to do the will of Him who sent Me.” He said an unspoken “no” to going early and intervening, and even saving His friends some heartache, because the raising of Lazarus is what brought most glory to His Father. Jesus didn’t ask. “What will people think of me?” He asked, “What is my Father’s will?” In doing the Father’s will Jesus glorifies Him. Another aspect of Jesus’ character we see in this story is His compassion. This story contains the shortest verse of the Bible, but it is an important one. “Jesus wept.” In fact He did more than that. The text says that when He sees Mary and the others weeping, “He was greatly disturbed in spirit and deeply moved. 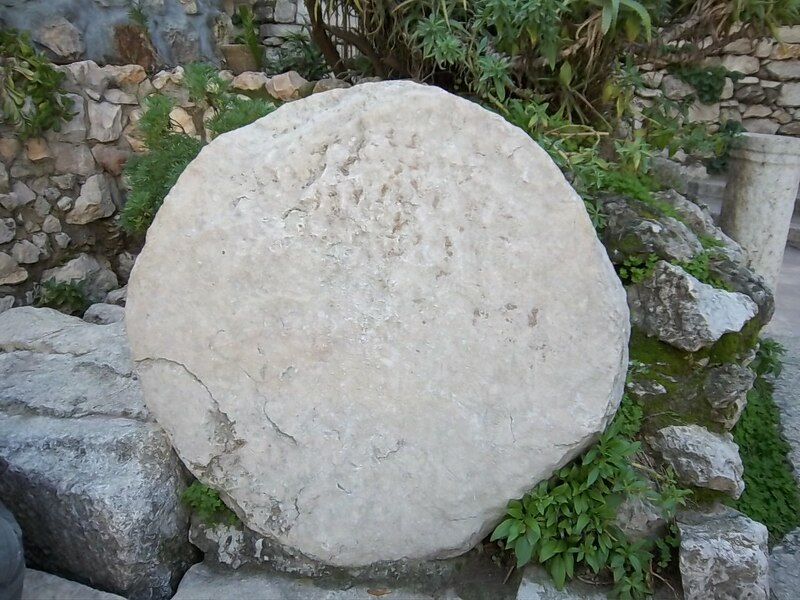 Then as He came to the tomb it says that He was “again greatly disturbed.” In the Greek these words for being “greatly disturbed” and “deeply moved” have to do not with sympathy but with anger and fury. Some commentators suggest that He was angry because of the amount of unbelief that He encountered. I don’t accept that interpretation because there is no anger at Martha or with Mary when they confront Him. Instead He uses their lack of understanding as an opportunity to declare Himself as “the resurrection and the life.” No, His anger was not about unbelief but about our enemy, which is death and the futility of it. His anger was at the ravage that death causes to the world that He so dearly loves, a world that He loves enough to taste of death before conquering it. Thus we see Jesus weeping with those who weep and we see Jesus furious at our enemy. And what is amazing is that He has these powerful emotions all knowing full well that He will raise Lazarus from the dead. What we see here is that Jesus is neither Mr. Spock, emotionless and full of logic, nor is the Great and Powerful Oz, barking orders and putting fear into the hearts of men. He is the Sovereign Lord of the Universe who comes along side to weep with us in our sufferings and to be furious at death and anything that would try to separate us from His love. Please note t is that same Jesus who now sits at the right hand of God and makes intercession for us. He ascended fully God AND fully man. Did His ascension now make Him loose all of His emotions and become a stoic. Hardly! That would be a diminution of His human nature, which is unthinkable. He is our compassionate High Priest. Just as in this case with Lazarus and the sisters, He does not always stop us from having pain, but He always comes along side of us when we are in it. He shares in our sufferings. Jesus wept. And His fury at death must also remain a constant. Our enemies are His enemies. Above all He knows that the pain we suffer ultimately will be for the glory of God so we trust Him and await the final outcome. We look to a day when death will be cast into the lake of fire and there will be weeping no more. Second, what does this story say about our relationship with Jesus? To coin a modern phrase, we need to keep it real. Martha and Mary were both more than a little put out that Jesus did not come early to heal Lazarus and they let Him know it. They had even sent for him with a message that Lazarus was sick and from their point of view Jesus ignored the email. Martha, true to her character, did not even wait for Jesus to arrive at Bethany to fuss at Him. Just like she did when Mary was not helping her in the kitchen, she went out to meet Jesus and complained. Mary, also true to her character, remained home but she also let Jesus have it when He arrived. Note that in neither case did Jesus respond by saying, “Who in the world do you think that you are talking to?” Nor did He have James and John call down fire from heaven to consume them. He responded to both of them with compassion. He used it as an opportunity to reveal more of Himself, to lead them into the truth. Please understand, I am not advocating that we make it a habit of fussing at the Lord. We are commanded to give thanks not to moan and complain. We need to remember who He is and who we are. But in remembering who we are we need to remember that we are human, we are “but dust.” These ladies were in tremendous pain and needed to express it. Jesus knew what was in their hearts and so a phony “Praise the Lord anyway” would have been a lie. Read the Psalms and you will see a man pouring his heart out to God. Sometimes it is the highest form of praise and sometimes he is asking God what in the wide world of sports is going on down here. The parish my mother and sister attend just called a new young priest. They are very happy with him. He posted the week before last that he just did his first large funeral and he said his voice cracked like a teenage boy and he made some other mistakes. I think that he was embarrassed. I appreciated his honesty and his humility and I encouraged him that people connect much more to a real person rather than with “Father Perfect” and his stained glass voice. Just as this young priest does not need to try to be whom he is not to connect with his flock, so we do not need to try to be whom we are not in order to connect with Jesus. Jesus was infamous for hanging out with broken people; it was the religious hypocrites with whom He crossed swords. Thus Martha and Mary are great examples to us of keeping it real. Third, what does Jesus expect from us? Two things. First, He is looking for us to place our faith in Him. Martha and Mary certainly had a measure of faith. As mentioned before they both believed that Jesus was capable of healing Lazarus. Martha even expressed belief in the resurrection on the last day. That was significant because many Jews, like the Sadducees, did not believe in the resurrection. But Jesus wanted her to go deeper. 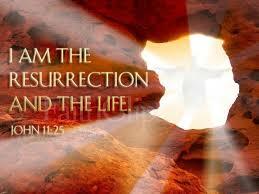 He wanted her to go from believing in A resurrection to believing the HE is the resurrection. There is a difference. The former is belief in a doctrine while the latter is placing trust in a Person. To put it in our context, there is a difference between believing the truths of the Nicene Creed and being in a relationship with the God that we confess in the Nicene Creed. We don’t place our faith in our faith. We place our faith in the Person and work of Jesus Christ. To make my second point about what Jesus expects of us I will offer an allegorical interpretation like some of the Church Fathers. If you don’t accept allegorical interpretations hang in there with me to see if the overall point is not valid. It jumped out to me in this story that Jesus had to order that Lazarus’ grave clothes to be removed. I have in my mind’s eye Boris Karloff walking stiff legged out of the grave bound as a mummy with his arms out in front of him. Every one is so frozen with shock and amazement that no one takes a step to do anything for him. Jesus gives an order to unbind him. I take from this that once we meet Jesus as the Resurrection and the Life that He wants us to take our grave clothes off as well. That is what Fr. Chris preached about last week and it is what our reading in Romans is about today. I wish however that the lectionary had backed up a couple of verses. Listen to this from verses 12 and 13. “Therefore do not let sin reign in your mortal body so that you obey its lusts, and do not go on presenting the members of your body to sin as instruments of unrighteousness; but present yourselves to God as those alive from the dead, and your members as instruments of righteousness to God.” Genuine belief in Christ brings with it a change from the grave clothes of impurity to the white robes of sanctification and eternal life. During the Mass all of it is important but some parts of it are of special importance. For example the sanctus bell is rung to highlight the importance of the words of institution that begin, “For in the night in which He was betrayed…” The actual prayer of consecration when we invoke the Holy Spirit is another very important time in the Mass. But for me it is always moving to say, “And here we present unto Thee O Lord ourselves, our souls and bodies to be a reasonable, holy and living sacrifice.” That is an altar call. That is a prayer of self-consecration. It is a time to take off our grave clothes and cloth ourselves in Christ and that I would argue is our high calling. As wonderful as this event of Lazarus being raised from the dead truly is, it is only a foreshadow of better things to come. It points to the ultimate defeat of death at the resurrection of Jesus and it also points to our own resurrection when Jesus returns to judge the living and the dead. It is important to recognize that our resurrection far surpasses the raising of Lazarus because when we are raised we will be given new and incorruptible bodies and we will witness a new heaven and a new earth as all things are brought in subjection to Christ Jesus. It is that day that we prepare ourselves for during this holy Lent and in the next couple of weeks as we walk with Him through His passion. The Resurrection is not a doctrine it is a Person. To Him we give honor and glory. Amen.